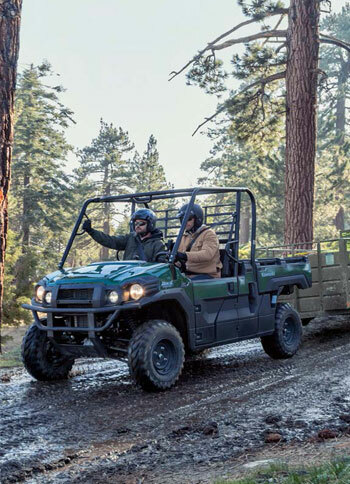 When there’s serious work to be done the MULE PRO-DX is ready to take the load. 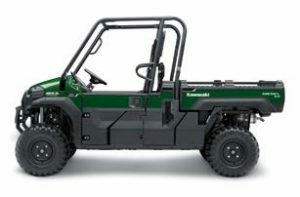 High torque diesel power moves cargo and crew quickly with the safety assurance of Roll-Over Protection System (ROPS). On site or on the farm, the class-leading 453 kg capacity of the long and low tipping cargo bed and 907 kg towing potential makes light work of the heaviest tasks. 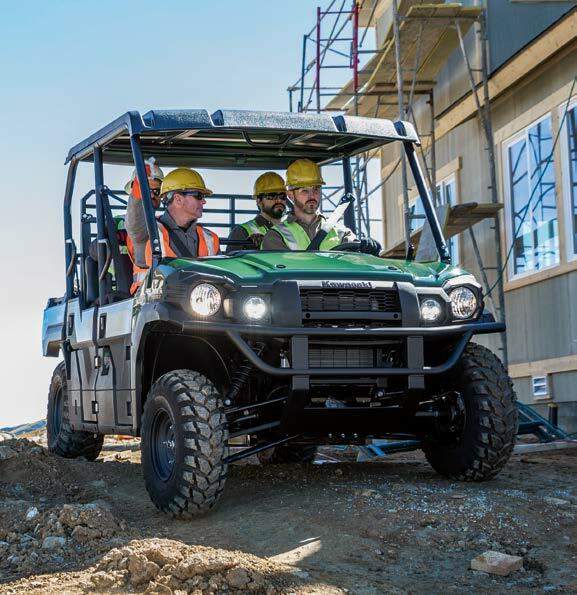 The innovative MULE PRO-DXT quickly changes from four to two seats in a few, swift moves that a single operator can manage in less than one minute. 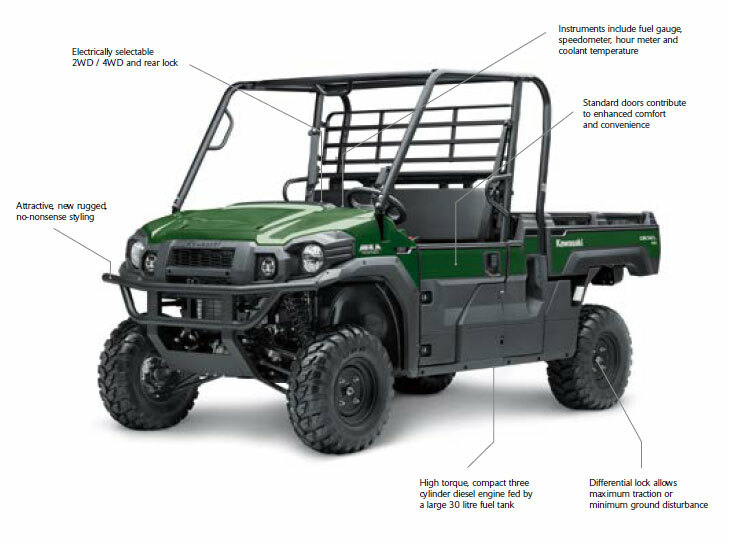 For flexibility in demanding industrial and agricultural environments, the MULE PRO-DXT can be reconfigured to transport more staff or a greater payload. The Trans Cab system allows the rear bench to be raised or lowered in less than one minute. 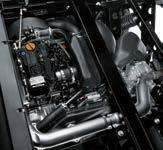 A three-cylinder diesel engine delivers the torque in 2WD and 4WD modes to move 453 kg loads or trailer up to 907 kg. Working in tough environments demands durable, reliable machinery that continues to deliver in all conditions. 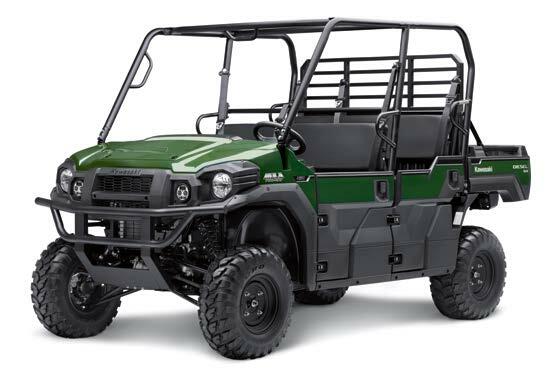 Dirt, terrain and weather won’t stop the ultra-rugged MULE PRO-DX and PRO-DXT, with all essential systems designed to resist water, dust and debris. A steel ladder chassis is ready for all terrains, strong where it needs to be and flexible where it matters. 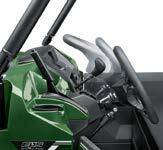 A three-cylinder diesel engine guarantees the torque needed to carry loads and crew reliably, hour after working hour. 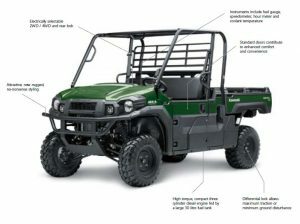 The rugged, hard-working styling of the MULE PRO-DX and PRO-DXT is not just there for show. 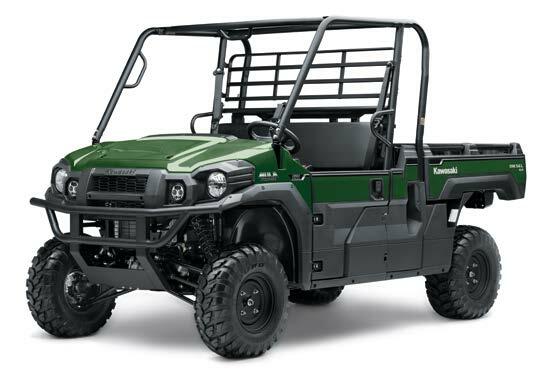 The powerful 993 cm3 three-cylinder diesel engine specified for the MULE PRO-DXT and PRO-DX delivers abundant low-speed torque for load-hauling and sufficient power to hit 30 mph (48 km/h). 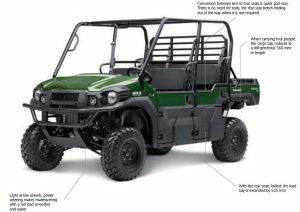 High-quality square-tube steel is welded and bolted together to ensure the performance and durability of the ladder-frame chassis. Extreme load areas feature high-tensile steel sections. 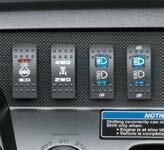 Changing terrain is no obstacle as the 2WD / 4WD and dual-mode differential can be switched electrically. Different drivers can adjust the thickly padded steering wheel approximately 34 degrees to ensure comfort and control, or move it out of the way when entering or exiting the vehicle. A flat bed made from 1.52 mm diamond-plate steel maximises available space and can be tilted on gas-assisted struts. 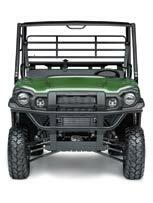 The tailgate has a two-lever release system for easy opening and closing. 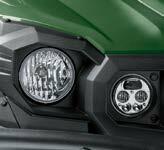 Night visibility and safety benefit hugely from the standard fitment auxiliary LED headlights (10.2/20.4W) on the MULE PRO-DXT and PRO-DX, complementing the main 55/60W units.